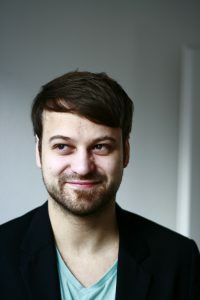 Patrick is the creative head and the owner of Mad About Pandas UG (haftungbeschränkt). His work is characterized by visionary thinking, accuracy, high aesthetic demand and social entrepreneurial values. 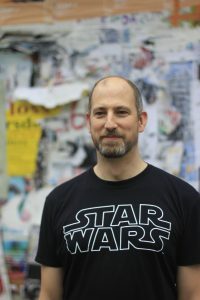 Patrick holds a master as a communication designer and has experiences in a range of areas, creating projects for commercial, cultural, social and artistic contexts, and his role is artist, designer, game-designer, author and producer. Furthermore he is also interested in the educational capacity of research projects and had extensive talks and workshops as a guest lecturer at different universities and schools. Katharina is responsible for finances and financial controlling, as well as for office organisation. With diligent and accurate hands, she not only oversees numbers, invoicing and accounting. She never forgets the team members’ birthdays, and realizes even the slightest dimunition of black ink pencils in the office. 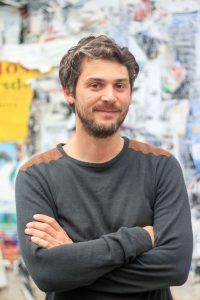 Christoph holds a Master and Diplom in computer science and he is also an engineer of realtime computer graphics. He has extensive work experience (12+ years) in programming games for different platforms: PC, Wii, PSP, PS2, PS3, iOS, Android etc. He has excellent skills in Unity 3D, C# and C++ and also a lot of experience in the leadership of development teams. Tim holds a Bachelor of Science in Business Administration and has also a background in Marketing. After doing a postgraduate professional education as a video game producer, he will be responsible for project coordination and the business development sector. Tanja Schmoller is studied Digital TV and MultiMediaArt Filmproducing at the University of Applied Sciences in Salzburg, Austria. 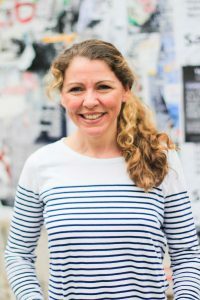 After her studies she produced the award-winning feature film “Neben meinem Bruder” and worked for the gebrueder beetz filmproduktion as Cross Media Producer for over 4 years. Since then she produced several interactive and multimedia projects like “The Wagner Files” (app), the trimedia project “Make Love” (tv-series, radio, internet), where she got nominated for an Grimme Online Award 2014, the “The Vikings” (docudrama, game, app) in 2014, the interactive webdoc “Falciani’s Swissleaks” for SWR/ARTE, which was awarded with the German Economy Film Award 2015, German-French Journalism Award 2016, Ernst-Schneider-Preis 2016 and nominated with the Grimme Online Award 2016, Nannen-Preis 2016 and Smart@FIPA Award. In 2016 she developed and produced the crossmedia project „#uploading_holocaust“ for BR, ORF, RBB (Nominee of Grimme Online Award 2017, Civis Media Prize 2017 and Prix Europe 2017). 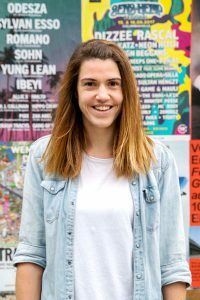 Since 2017 she works as a Creative Producer and Business Development for Mad About Pandas.